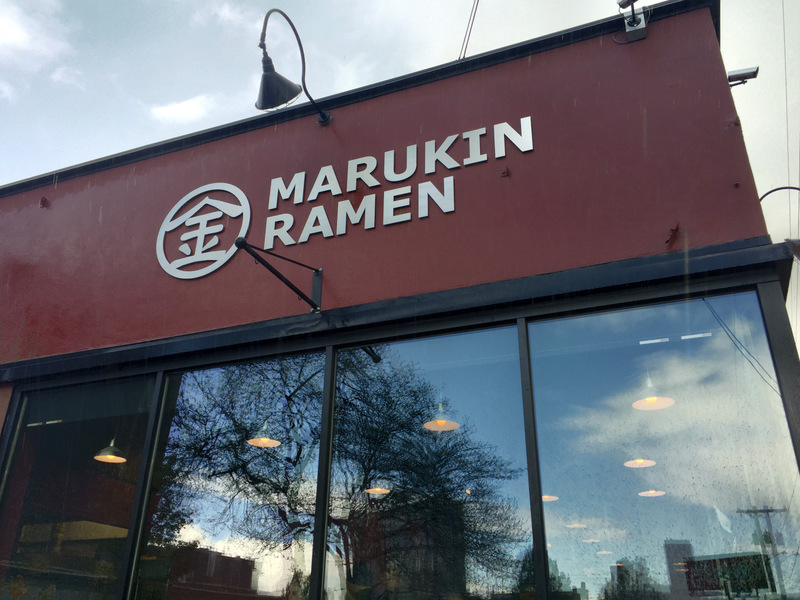 Marukin is an authentic Japanese ramen house, the first of the chain to open in the United States, right here in Portland, Oregon. As they are open for lunch, I had to stop in to give it a try. 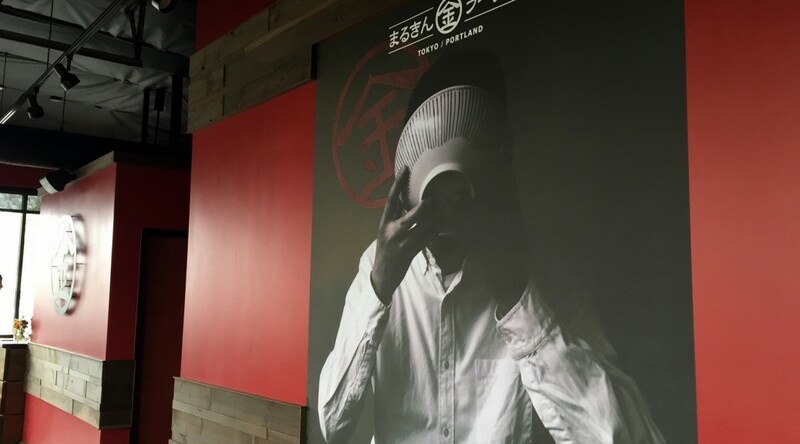 It’s purported to be some of the best ramen on earth. 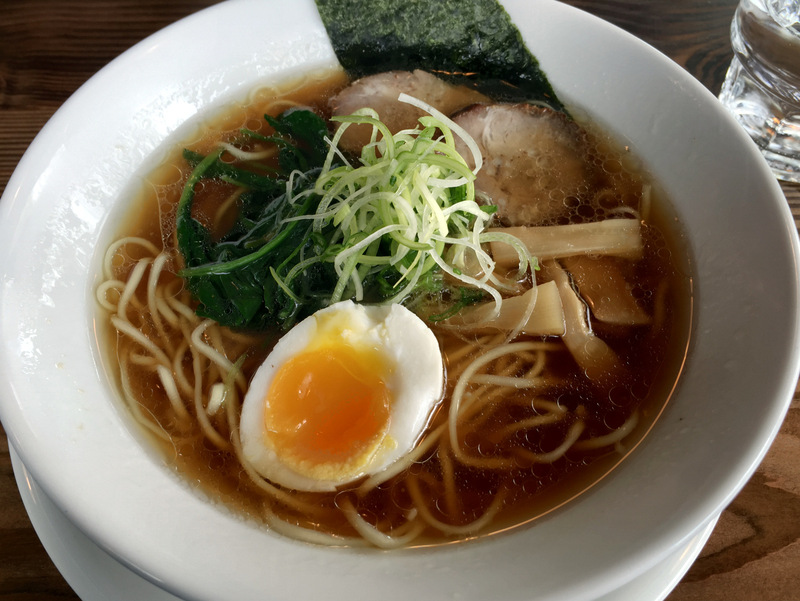 It’s a big, hairy deal according to Eater PDX, with these 10 Reasons Why Ramenheads are Excited About Marukin Ramen. The location at 609 SE Ankeny St., next door to Nong’s Khao Man Gai is not a place to easily drive to and park. If you work or live in the area or take the streetcar, that’s another thing. But the two places next door to each other makes it a destination for people who want Asian comfort food. I ordered the standard Tokyo Shoyu: Clear chicken and Carlton Farms pork bone broth base with shoyu. It had a nice bunch of veggies on top. 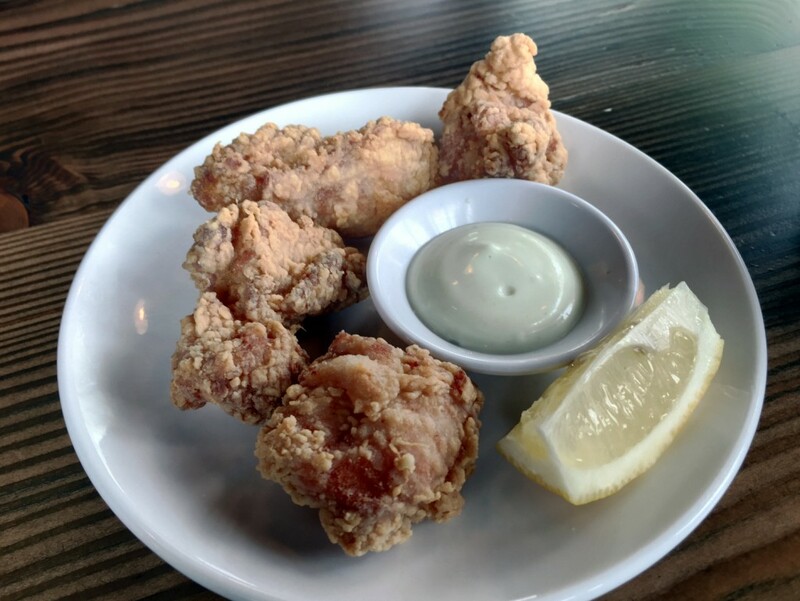 I also got a side of their chicken karaage (4 pieces, small) Japanese-style fried chicken. The noodles and broth are handmade with care. You get chopsticks and a spoon, but are encouraged to slurp away. You order at the counter and they deliver to the table, with a minimal wait. The staff seemed friendly and helpful. Most of the tables are made for sharing, and there are long counters to eat at as well. All of this would be great if I loved ramen. As I’ve previously discovered with ramen and pho, I just don’t understand the attraction. I might like the spicy varieties I see they had on the weekend. But the Tokyo Shoyu would be a big, satisfying bowl of comfort noodles if you were a ramen fan. The chicken karaage had a nice crisp coating that tasted mostly of garlic to me. I preferred what I’ve had at Noraneko and Boke Bowl. I have decided that it is verified that I am a ramen Philistine. I’m a big-flavor gal. I’ve never been a fan of noodle soup in any cultural cuisine. I am probably in the minority on this. All the better for true ramen fans as I won’t be blocking them from their nirvana. I am not writing this as a bad review, more as an admission that I gave it a shot and I’m just not a fan of ramen, no matter how excellent. You should give it a try, they will also be opening in the new Pine Street Market in May. worry about cold joints as the Cerlon will chemically attach to the concrete and itself. but you’ll like the end result.